What is a Sustaining Member? Listeners who donate the same amount each month are called sustaining members because their regularly scheduled gifts are something KJZZ can depend on. 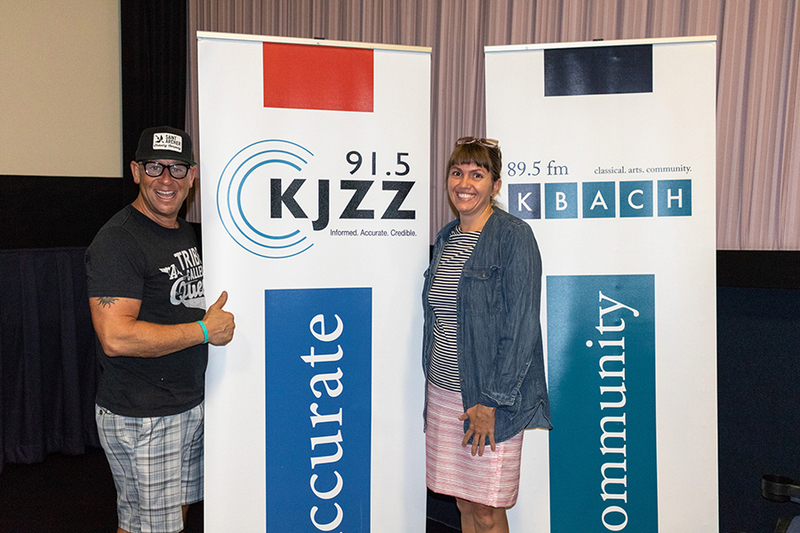 To thank you, we invite you to take a “Why I Love Public Radio” member tour of the KJZZ studios! Come see our digs and we’ll do a private recording session so you can share why you support KJZZ. Plus, when you donate $10 a month or more, you’ll be invited to join clubs connecting you to members with similar interests. We’ll also send you the Sustainer Loyalty Card, which offers exclusive discounts at local restaurants and businesses. What else? Here’s a list of all the Sustaining Member benefits.